In the summer of 2005, my friend Carlie and I bought tickets to see Tom Petty on the Ohio River. We sat in concertgoer traffic and blasted Full Moon Fever and Wildflowers, so excited to be out on our own. It might not have been my first parents-less concert, but it was the one I cared about the most. My dad had been blasting the stuff since we were babies. Music was never a background attraction in our house, it was THE attraction. He might turn the volume down at dinner time, but the second he was home, the music was going, and going strong. He mostly played favorites from the late 60s and early 70s, (his college years, the lucky dog), but there was a lot of The Cars in there, a little David Bowie, and plenty of Tom. For me, good lyrics are religion, a good guitar solo is the greatest sermon, and the sound of a harmonica might as well be church bells. At my first Tom Petty concert, the grass was damp but not wet. It smelled of dirt and grass and beer and weed, and I loved it. Outdoor concerts were a figment of my childhood; blues festivals and lawn performances were frequent destinations for our family. For me, the combination of music and nature is still incredibly comforting. We hadn’t come prepared with a blanket or provisions that night, so we just kind of stood among the crowds on the lawn, waiting for the show to start. My hair was wrapped in a pink and yellow scarf, my shoulders dark from hours at the tennis courts. We must have looked so awkward, standing there, staring at the mass of adults surrounding us, trying to look grown up. And then, suddenly, there he was. The crowds parted, as they do in John Hughes-movie moments like this one. I locked eyes with my summer romance, my tennis-playing love interest, and he grinned in that coy way teenage boys do. The dark waves in his hair moved as he walked toward us. My whole body flushed with nerves. Though we hadn’t planned to see each other that night, he seemed very, very happy to see me. He brought a friend of his whom I had met before. David. And another tennis instructor from the club where I played, too. They bought us beer, passed a joint around, he moved his body closer and closer to mine. And when the music started, Tom Petty just GOT me. He got all of us, the whole thing. Today, when I hear “Refugee,” I think of David, this skinny, hilarious kid who had been through so much in his 19 years that it showed in the lines on his face. When I hear “American Girl,” I picture singing along with Carlie, the air that perfect kind of warm, the music wrapping us in teenage delight. “Last Dance With Mary Jane” resonated with all of us at the time. We all felt summer creeping in, we felt tired of this town again, we needed one more time to kill the pain. When I hear “You Wreck Me,” I remember how his hands felt on my hips, how he swayed with me in a way that made me never, ever want to stop dancing. He was and always will be the boy in the courderoy pants, dancing with the high school girl. Before that concert, I wasn’t sure about a lot of things. Tom Petty, the crowd, that reliable rock n roll beat — they brought me an identity, a tribe. I felt both desire and belonging in their purest forms. The rest of that summer was just that — an exercise in pursuing those two things with everything I had. Shortly after I arrived at college, I heard David had died in a car crash in North Carolina. I sobbed into then-stranger’s pillows and dreamed about him for months, my refugee friend. A month after that, I kissed my boy in the courderoy pants for the last time. 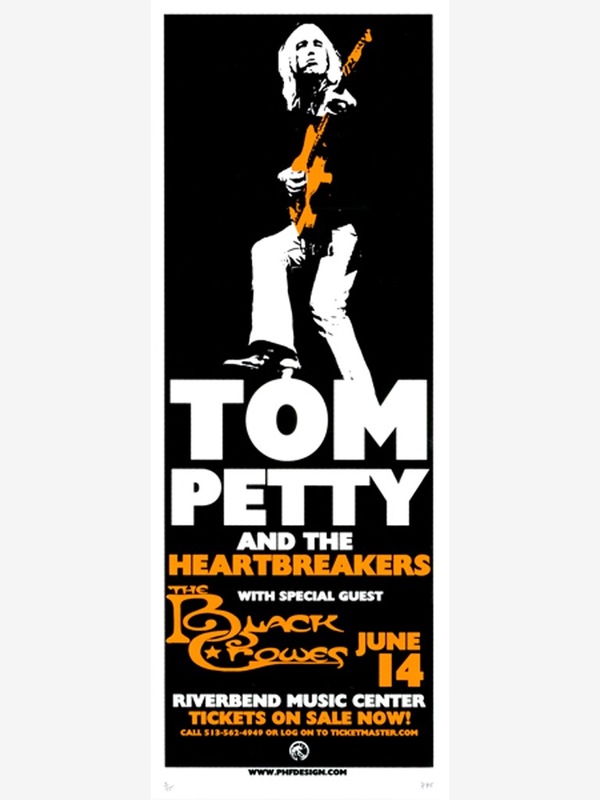 When Tom Petty died, I thought about that concert. I thought about my second Tom Petty experience a few years later, with my dad and some girlfriends, that was equally incredible. I thought about David, I thought about first love, I thought about the girl I decided to be that night and many nights afterward: authentic, bold, open, free. 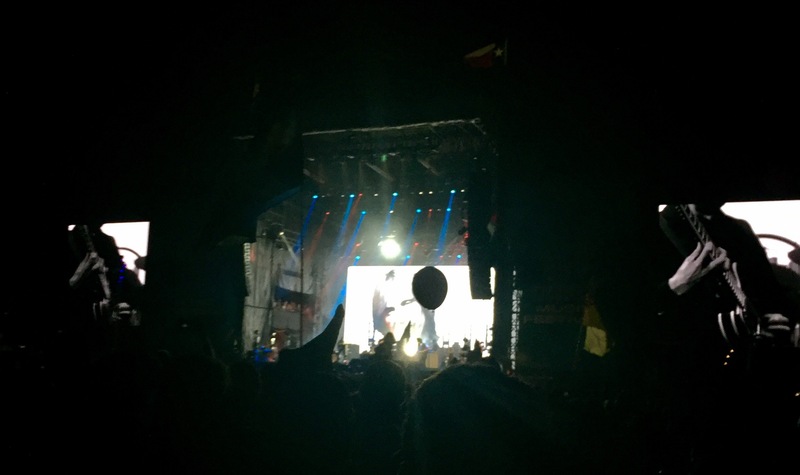 At my third Austin City Limits this weekend, The Killers opened with a heart wrenchingly beautiful and faithful rendition of “American Girl.” Tom appeared on the screen with that sly smile, and I cried teenage girl tears, the real kind. The kind that hurt. That first concert was the first day of the rest of my life. I made a conscious decision as to who I wanted to be, and I made it happen. Lately, I struggle with the changes I’ve gone through since then and fear, as 30 approaches, that I have lost the girl in the headscarf with sunburned shoulders and just enough courage to dance. The girl unafraid of the free fall. I cannot lose her. For now, I will miss you, Mr. Petty. Thank you for making me feel like someone knew how it felt to be me.